Being called a hockey mom has always been a backhanded compliment. If your son makes it to the NHL, you are lauded for your hard work and belief in his abilities. If he does not make it any farther than varsity hockey, you are nothing more than a taxi driver, shuttling him from one game to another. Well, in the hopes of qualifying for the former category of hockey mom, a box hockey game can help anyone who plays a stick-centric game like field hockey. Lay your sheet of plywood in the driveway or garage or where you happen to have room. Stand the 8-foot long 2-by-8s horizontally along both 8-foot sides of the plywood board. These will be the walls of the game. Using a hand drill and wood screws, screw the 2-by-8s to the plywood board. Change out the Philips screw bit and replace with the 3-inch hole saw. Choose three of the 2-foot-8-inch wide 2-by-8s, and using a tape measure and pencil, mark the midpoint of each board. Also measure and mark a line 1 inch from the bottom of the 2-by-8s. Use the hole saw to cut a hole at the midpoint of each 2-by-8. 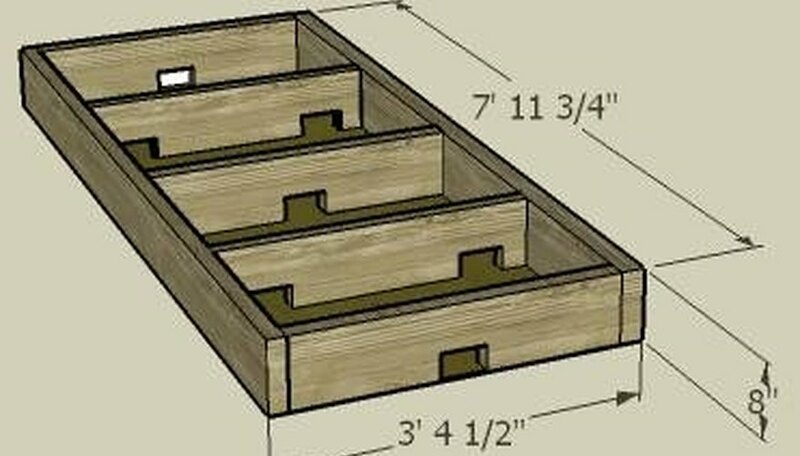 When you are done you should have a centered hole, 1 inch from the bottom of each of the three boards. Measure and mark two holes, 1 inch from the bottom of the boards, for both remaining 2-foot-8-inch 2-by-8s. These dividers will have two holes apiece. Using the hole saw, cut out two holes in both remaining 2-foot-8-inch 2-by-8s. Place two of the three 2-foot-8-inch 2-by-8s from Step 5 on either end of the board, between the standing 8-foot long walls. Switch out the hole saw bit for the Philips head bit. Using wood screws, screws the board from Step 8 to the plywood. Using the tape measure and a pencil, mark off a line every 2 feet between the two end boards you just screwed in. You will be placing a 2-foot-8-inch 2-by-8 on each mark. Now you should have three 2-foot-8-inch boards left, one with one centered hole, and two with two holes apiece. Place the 2-by-8 with the long, centered hole at the 4-foot mark, essentially in the middle of the box. Screw in place with wood screws. Place the remaining two 2-by-8s at either 2-foot mark and screw into place.